Welcome back to Frankfurt! 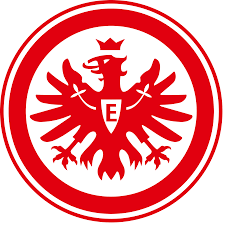 Today we’ll tackle the second half of my fourth season at Eintracht and see if we can continue our fantastic form from Part Eleven. This is going to be a slightly longer post than usual, so make sure you’ve got a big coffee (beer?) for this one. Today we’ll hit the January window, cover the all important results and finish with a quick review and look at how we’re getting on towards the aims of the save. I’ve gone for a little bit of a change to the style of this post (yes, again), due to how the season ended up going, so although this probably won’t be typical of future posts, I’d certainly appreciate any feedback you may have. Find me on Slack or stick a comment on here if you like. I’ve started with the outs, as the exit of Danny da Costa came as a bit of a surprise and demanded a replacement. I felt £18.75m was a great deal for a right back who’s been OK, but not great. His record under me was 75(12) appearances, 2 goals and 8 assists, averaging around 7.10. He’ll be earning a huge £120k a week in China. 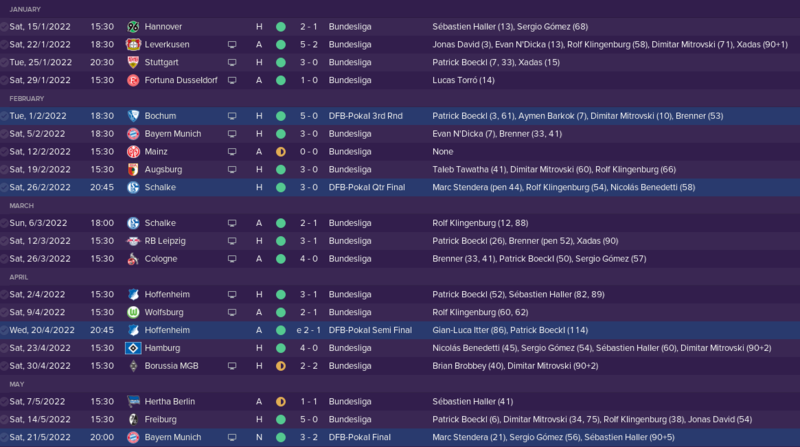 Luca Mercurio needed more game time, our unnecessary third goalie demanded a loan and with Rommel Gonzalez and Sandro Reichenberger turning eighteen, they join the legion of developmental loansters we’ve got out. All five are promising young players, but I’ll focus on the two that will be joining the first team squad. Patrick Boeckl is yet another wonderkid, and comes in to compete with Pedrinho on the right wing. He featured in the Christmas bonus post, which I realise only now messes with the timeline somewhat. Oops. 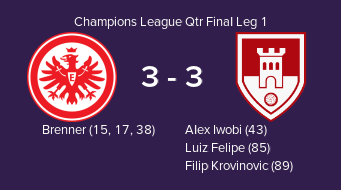 The cup final was a great game, featuring seven clear cut chances and seven half chances, and Bayern provided stiff opposition for once. 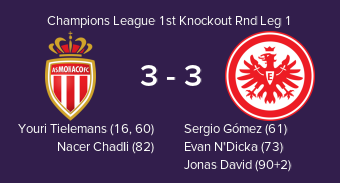 However, a last minute winner from Sébastien Haller secured us the domestic double and brought Zinedine Zidane’s tenure as Bayern manager to an end. We were completely on top for the second half, and but for Chadli’s offside looking goal, we could’ve taken a lead home with us. 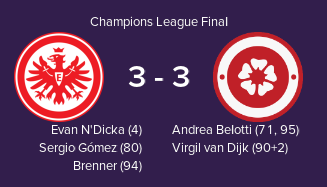 But it proved unnecessary, as we totally hammered them at Waldstadion, Pedrinho scoring his fourth and fifth Champions League goals of the season in the rout. So to the Quarters, where we faced Arsenal – the only other team we’ve beaten in a European knockout tie. A good omen? Uncharted waters here, but the good news is we once again dodged Liverpool in the draw, as we faced Napoli. Piece of cake. 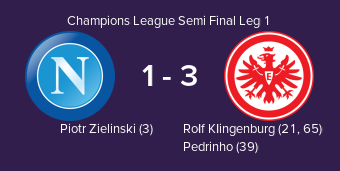 Napoli were thoroughly outclassed from start to finish, and Pedrinho is up to eight goals in the Champions League! By this point in the season, the team basically picks itself. Rønnow has been better than Raya this year so gets the nod in goal. N’Dicka has usurped O’Connell at the back after a superb season, and Sergio Gómez has been wonderful on the left flank. The only selection dilemma was Brenner vs Haller to start alongside Klingenburg. 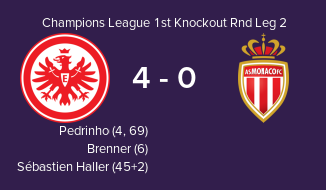 Neither were on particularly good form, but Haller got the start due to his history of performing on the big occasions. The first half was a drab affair that we shaded, and we took the lead through Evan N’Dicka from a corner – a source of goals that has helped us a lot this season, although overall set piece goals are well down. 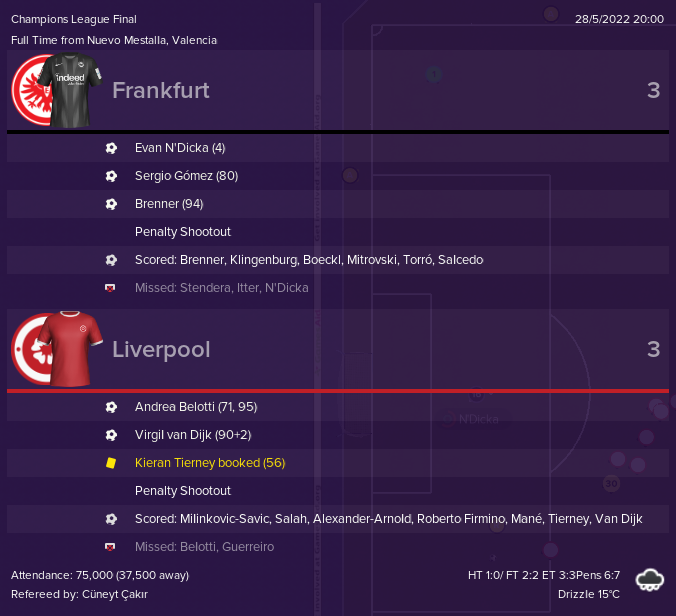 After half time, the game changed, and Liverpool launched some impressive attacks against us. Remarkably, they had three goals disallowed. All were correct decisions, but they were battering us. It took until the 71st minute for the equaliser to come, with substitute Andrea Belotti scoring, also from a corner routine. Despite being outplayed, we did have a few attacks of our own, and took the lead again on the 80th minute, star of the second half of the season Sergio Gómez putting us ahead. But it didn’t hold. Virgil Van Dijk thumping in a header from a free kick in injury time to force us into another half an hour of football. On the night (and for three successive seasons) Liverpool were the better side, and deserved to win. But taking the lead three times and losing on sudden death penalties is a bitter pill to swallow. Evan N’Dicka had his best season yet, solid defensively and a danger from set pieces. The addition of Max Aarons has immediately improved our right hand side, and along with Gian-Luca Itter, we now have dangerous full backs on both wings. We rotated heavily in the league as we were walking the damn thing, and as a result Klingy was the only Frankfurt player to get in the Bundesliga Team of the Year, despite our huge margin of victory. Our rotation also shows in our Team of the Season, with Juan Manuel and Aymen Barkok making the team despite being in the “2nd XI”. I started the save with five aims of varying type. Have we progressed towards achieving them? 1. Become consistent Champions League Qualifiers, and eventually, one of the top ten teams in Europe. 2. Develop a brand of football. I love a swift, incisive counter attack that features fast, technically gifted players. 3. Technique, Composure, Decisions, Determination, Pace, Acceleration. These are the six attributes I’ll be targeting with new signings to hopefully get us towards that new brand of football. This is going really well, and I’d probably credit it as the cornerstone of our success so far. ACHIEVED. 4. Develop youth talent, with an emphasis on our own homegrown players. Eventually, I want five of them in the German national squad. A big ask. 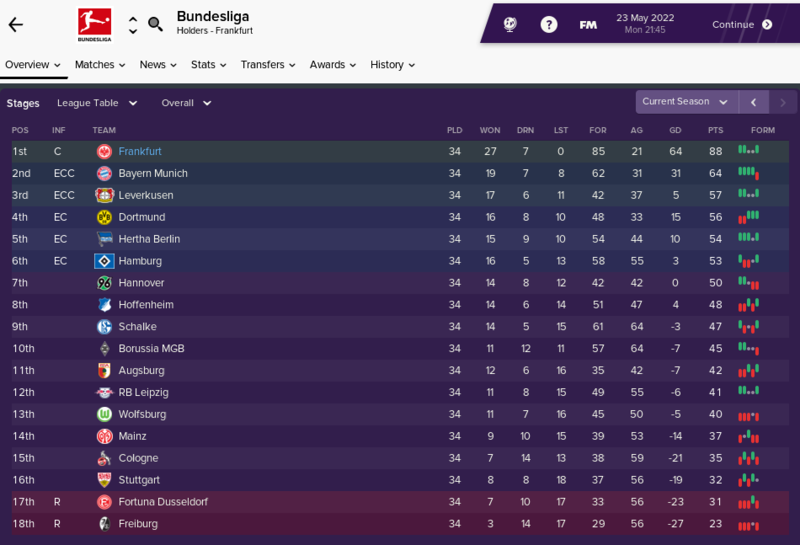 I haven’t signed as many German players as I should have, and our youth intakes so far have been underwhelming. The German players I do have aren’t getting much international recognition. Apart from Klingy. WORK TO DO. German football trembles before our greatness! Liverpool, not so much. ACHIEVED.